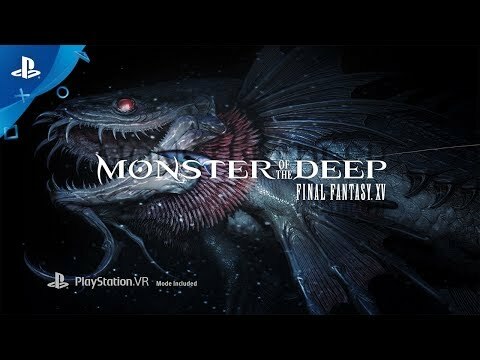 The ever-expanding FINAL FANTASY® XV Universe casts its line into the world of virtual reality with MONSTER OF THE DEEP: FINAL FANTASY XV, a brand-new VR experience for PlayStation®VR system. 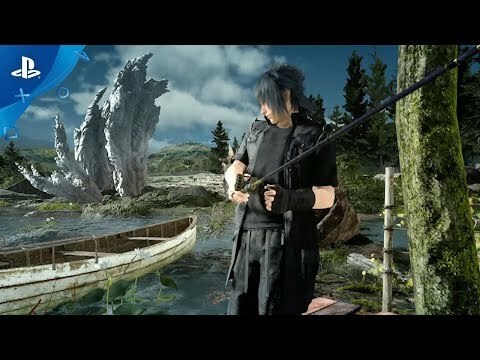 Dive deeper into the world of FINAL FANTASY XV as you head out on a fishing expedition with Noctis and the gang. Join Ignis, Prompto, Gladio, and other familiar faces in a picturesque backdrop en route to a thrilling encounter with the menace that lurks in the depths. Jump into the story mode for an exhilarating, action-packed showdown with the notorious Monster of the Deep, or take in the sights, sounds, and scenery of FINAL FANTASY XV as you kick back and cast off in the free fishing mode. Bounties and tournaments offer fresh new challenges as you customize your rods, reels, and lures to catch the big one! It's not just about fishing! In Monster of the Deep, giant fish are terrorising the waters in various fishing locations around Eos. As a Hunter it is your duty to find the monsters lurking below the surface, fishing them out and restore peace to the waters. It won’t be that easy to catch these monsters though so you’ll have to use all your fishing skills and prowess to ensnare each beast and shoot them with a bullet of light to rid the world of them forever. To fully immerse yourself in the world of Eos, you can create your very own customised avatar. If you’ve played the FFXV Multiplayer Expansion: Comrades, you’ll be familiar with our custom character creator and how detailed and flexible it is. If you’re really going to become a Hunter worthy of tracking down the monsters of the deep, you’re going to want to choose how you look. See MONSTER OF THE DEEP: FINAL FANTASY XV in Action! 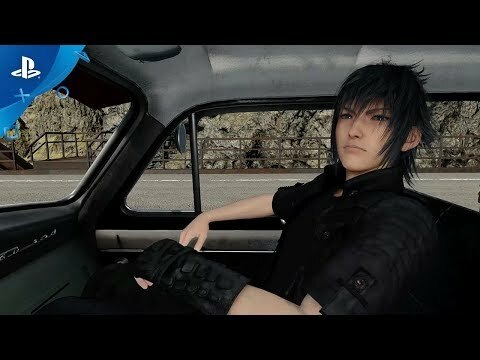 FINAL FANTASY XV © 2016, 2017 SQUARE ENIX CO., LTD. All Rights Reserved. FINAL FANTASY, SQUARE ENIX and the SQUARE ENIX logo are registered trademarks or trademarks of Square Enix Holdings Co., Ltd. The ratings icon is a registered trademark of the Entertainment Software Association. All other trademarks are the property of their respective owners.